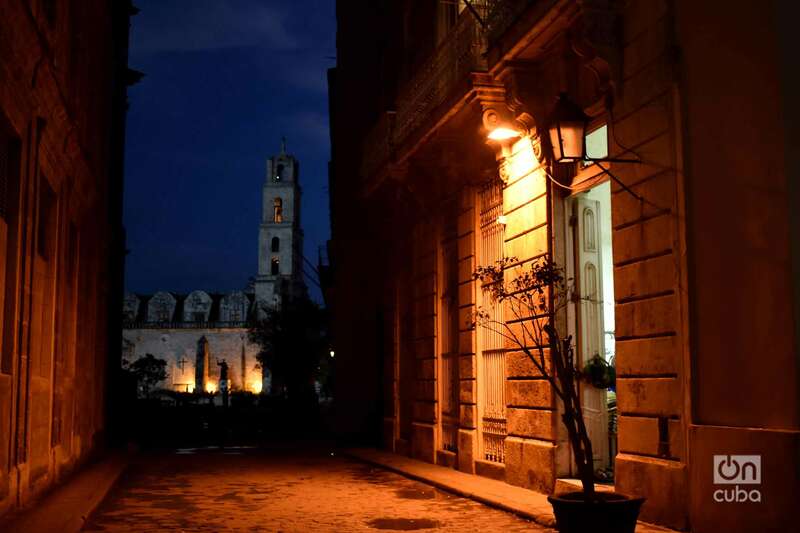 Take in the historic Cathedral Square | Visit noteworthy La Bodeguita del Medio and enjoy a delicious cocktail | Visit the Plaza de San Francisco | Visit the Plaza Vieja | Enjoy a panoramic night tour around Old Havana | Stop at Sloppy Joe´s bar for closing libations. Exclusive, guided itinerary including unique handpicked people-to-people activities, insider access to Cuba’s landmarks and hidden gems, private visits, and lectures with renowned Cuban experts. 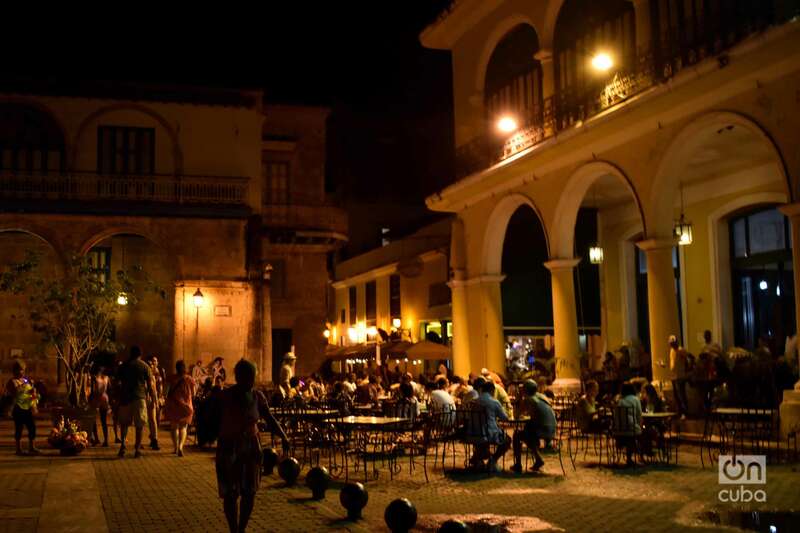 Discover colonial Havana under the evening lights. Walk through the historical Plaza de San Francisco de Asís and have your picture taken with the Caballero de París. Wander across the eclectic Plaza Vieja, a UNESCO World Heritage Site, view the architecture and enjoy a locally brewed beer. 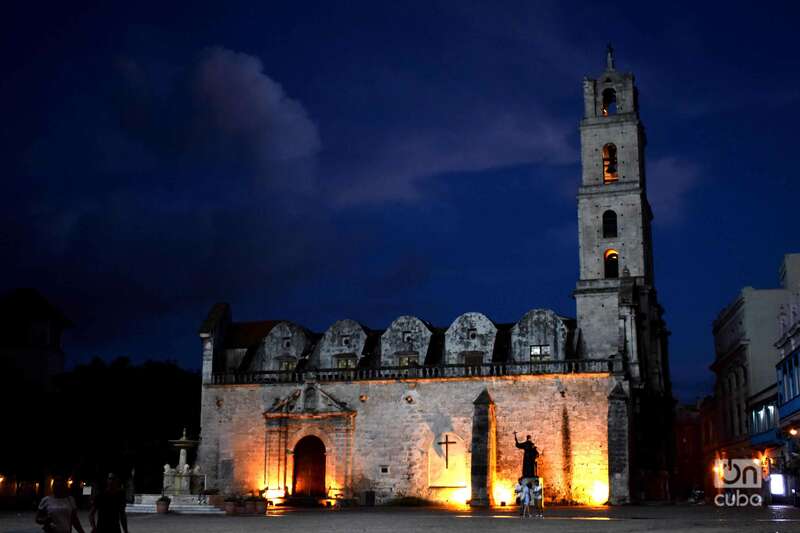 Visit Plaza de la Catedral and explore the beautifully preserved Havana Cathedral. 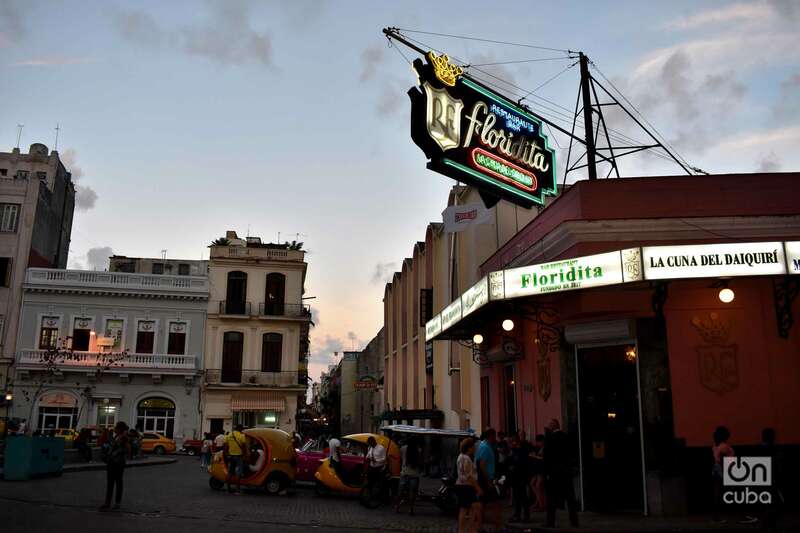 Celebrate the evening with a Mojito, Hemingway style at the Bodeguita del Medio and close at a place where some say the original Sloppy Joe came from, Sloppy Joe’s Bar. Before departing the pier, you will see the historic Plaza de San Francisco de Asís. It was built in the 16th century when Spanish galleons stopped at the harbor on their route through the Indies to Spain. It is most significant for its uneven cobblestones and white marble of the Fuente de Los Leones (Fountain of Lions) carved by the Italian sculptor Giuseppe Gaggini in 1836. Then you will continue to Havana’s Plaza Vieja. This architecturally eclectic Square, where Cuban baroque meets Gaudí-like art nouveau, was first built in 1559 and was initially named Plaza Nueva (New Square). 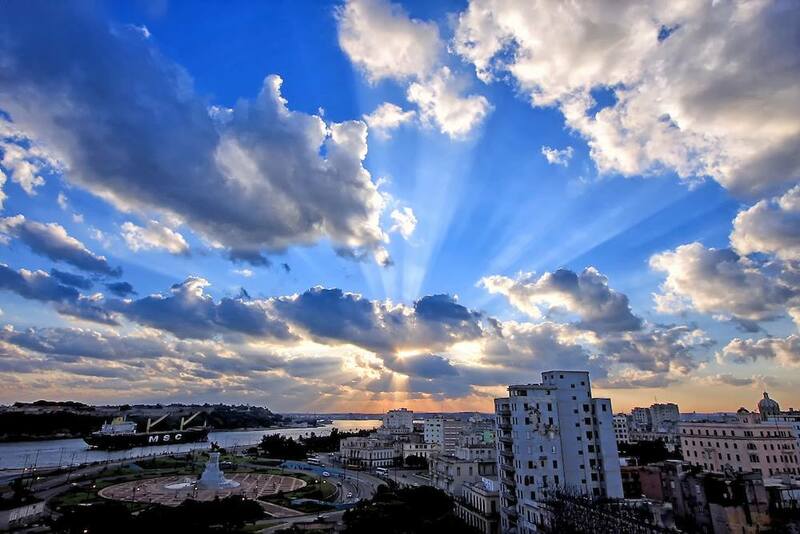 The Square houses a micro-brewery, the Angela Landa Primary School, a beautiful fenced-in fountain and, on its west side, some of Havana’s most beautiful shop windows. When Old Havana was declared a UNESCO World Heritage Site in 1982, the Square was restored to the historic plaza it is today. While in Plaza Vieja, you will have some free time to walk around, take pictures and enjoy a beer at the brewery. Your last stop of the walking tour will be at Plaza de la Catedral, the last of the main squares to be created in one of Old Havana’s most beautiful spots, named Plaza de la Ciénaga (Swamp Square) initially because of its muddy terrain. Later, after being drained and paved, it became one of the city’s most important squares. Affluent families then moved into the area and built their mansions in the Square. The Square’s main attraction is the Havana Cathedral, notable for its two unequal towers and its framed theatrical baroque façade designed by Italian architect Francesco Borromini. It was known as one of the oldest cathedrals in the Americas. The building was finished in 1787 when the diocese of Havana was established, and then the church became a cathedral. Next, we will visit La Bodeguita del Medio and enjoy the traditional mojito, followed by a short panoramic bus tour through the rest of Old Havana. Your final stop for the night will be at the famous Sloppy Joe’s Bar, which re-opened in 2013 after being closed for 48 years. Many say that the famous Sloppy Joe sandwich is an American staple, while others argue that it came originally from Cuba. According to some, the name of the bar comes from their staple sandwich made with Ropa Vieja (shredded meat), which translates to “old clothes.” Also, many of the bar’s English-speaking customers nicknamed the owner, José García, Joe. The bar was frequented by many famous figures like American novelist Ernest Hemingway, Australian-born actor Errol Flynn, and novelist Graham Greene. After an enjoyable evening and lively music at Sloppy Joe’s, you will return to the pier. Note:This excursion involves walking for the full duration of the tour, mostly along paved and cobblestone streets. It is not suitable for wheelchair access. Guests are advised to bring a camera, wear flat/comfortable shoes, and to dress in layers. Rain gear and/or an umbrella is recommended. This tour is OFAC compliant.